Excellent and very sensitive review as always, Jacqui. Sounds like a very nuanced study of some very complex family relationships – obviously an author I need to actually read! (as I do have some of his works on the shelf). Thanks, Karen. It’s good to hear that you have some of his books in your TBR (he’s definitely worth trying, especially if you’re in the mood for something subtle and understated). I’ll be very interested to hear how you get on with him. This is a very insightful review. The book’s plot and characters sound so good. I need to read more Japanese literature. This is one of many books that seem very worthwhile that I want to explore. Thanks, Brian. Bellezza might be able to comment on this if she drops by, but I suspect this book is fairly representative of Japanese fiction from this period (it was published a few years after the end of the Second World War). Even though it’s fairly quiet and understated in style, there is an undercurrent of unease running through the narrative – possibly a hangover from the war and the changes this heralded in terms of the nature of life in Japan. I think you’d find it an interesting read. I just finished Snow Country and I didn’t like it. I’d heard so many great things about it, but it wasn’t for me. In some ways, it doesn’t surprise me to hear that, Guy. It’s been a quite while since I read Snow Country, but I do recall having mixed feelings about it. There was something elusive that I couldn’t quite put my finger on – maybe unsavoury even. He can be quite brutal sometimes, Kawabata – I didn’t think that was the case here, but I have seen it in another of his novels, Beauty and Sadness. Good, so I’m not the only one. I didn’t get all the Geisha stuff and the whole romance thing…. This one isn’t romancey. The closest comparison is probably something like Soseki’s The Gate, which I think you’ve read. It has a similar tone – rather melancholy and understated. I haven’t read any Kawabata – in fact my reading of Japanese literature in general is lacking, apart from Murakami and Tanizaki (even that combination suggests how haphazard it is!). I really feel I need to make more of an effort so this may be one I look to next year. Ha – to be honest, my own experience of Japanese literature is probably equally patchy and haphazard! Murakami (again), Kawabata, Yoko Ogawa and the occasional Soseki. Oh, and Yasushi Inoue – I’ve read a couple of his novellas. This is my favourite of the three Kawabatas I’ve read so far, so it’s definitely worth considering if you fancy giving him a try. In terms of style, it’s quite similar to Inoue’s The Hunting Gun. I can’t recall if you’ve read that one? Have you read Ishiguro’s An Artist Of The Floating World? In some ways this reminded me of it. No, I haven’t. I’ve only read a couple of his novels: The Remains of the Day and never Let Me Go. He’s an author I’d like to go back to at some point in the future, so thank you for the tip. Artist was my favourite of the Ishiguro’s I read (ages ago), so I’d second that recommendation. This sounds interesting. 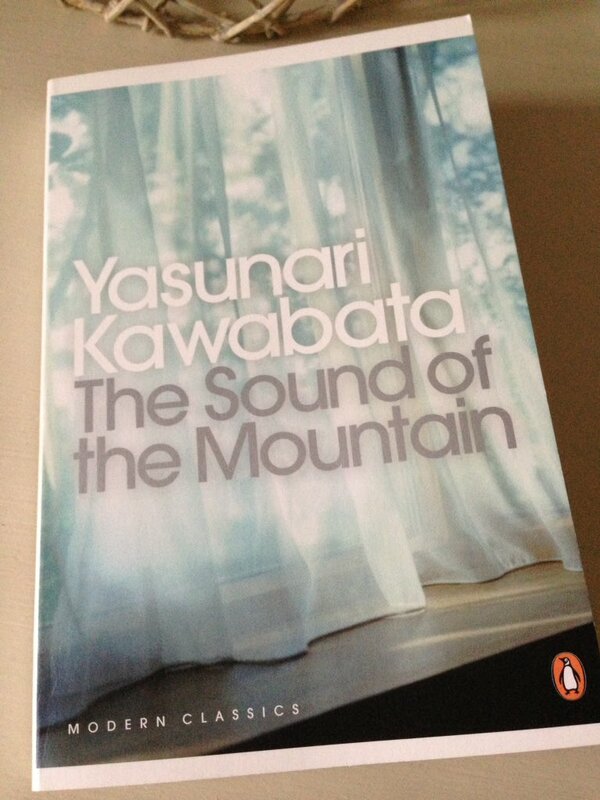 I’ve read a fair bit of Japanese fiction though not in recent years and not Kawabata. It sounds like an Ozu film. Oh, that’s interesting about the Ishiguro. I’ll definitely be checking it out. Thanks for adding your endorsement to Gert’s recommendation. Funnily enough, I couldn’t help but think of Ozu here too. Mountain has the kind of pace where everything unfolds so slowly and delicately. Time to re-watch of Tokyo Story, I think. A beautifully written review Jacqui which really presents the novel sensitively. You’re terrible for my TBR! Ha! Thank you. It’s an interesting novel with a lot more to offer than appears at first sight. I enjoyed it as a bit of a change in tone from some of the other books I’ve been reading lately. Lovely review, Jacqui, of a beautifully sensitive book. I loved the koan-esque nature of some of the writing, and the elusive, slightly melancholy tone. I keep meaning to re-read this but have never quite got around to it. Maybe soon now. Beauty and Sadness is also a lovely read, as is The Master of Go which is odd but strangely meditative. Kawabata writes with sensitivity and a light touch, as though he surrounds you in a fog of emotion which seeps into you without you really knowing exactly why or how. I had to look up the meaning of koan! Yes, that’s very apt – there is something slightly oblique and elusive about the way in which the story is presented (and I mean that in a positive way). It reminds me of one of those classic Japanese films, something like Ozu’s Tokyo Story which unfolds very slowly and delicately. I think you’re the third person to recommend The Master of Go (the other mentions were on Twitter), so I shall have to take a closer look. Thanks for the tip! This sounds rather wonderful and very melancholy. I think I’ve read Snow Country a long time ago and, like Guy, didn’t like it but I think I’ve read other books by him, which I found beautiful. I can’t tell you the titles as I own most Japanese literature in French or German translations. I would definitely love to read this. I was actually wrong, I just checked. I own Snow Country but the one I really didn’t like is called Le Lac – The Lake in French. Oh, that’s interesting. I haven’t come across The Lake – probably one to avoid by the sound of things. I think you would like this one a lot. It doesn’t have any of the malicious or vengeful undercurrents that were present in Beauty and Sadness (my previous Kawabata). Instead, it’s more gentle and restrained – melancholy is definitely the right word for the tone. This sounds like a delicately balanced, beautifully portrayed novel. Not a writer I am familiar with. Lovely review as always. Thanks, Ali. He’s worth considering, especially if you fancy trying something different. The observations of the family dynamics are captured with real subtlety here. Having just read Kobo Abe’s Woman in the Dunes I feel inclined to dip into more Japanese lit, especially this author; like you and others above I’ve not read too much of it, a sad omission. I love the films too (mentioned by Max earlier); Kurosawa is one of my favourite directors. I would definitely recommend his work, this book in particular. Snow Country is the one that seems to get the most attention, but Mountain is my favourite of the three I’ve read so far. I need to explore Kurosawa’s films in more depth, especially Ikiru which has been recommended to me on more than one occasion (it’s great to hear you are a fan too). That said, there’s definitely a touch of Ozu here, both in terms of pace and tone – I couldn’t help but wonder if Ozu had been influenced by Kawabata when he made some of those films.